Although originally we did not supply the Sounds from Source Programs sounds as downloadable sounds, we are now able to do so. There are however some important restrictions. Originally we were told that due to the sounds being intentioned they could lose their intention when they were copied or downloaded. Over many years of Susan and I working in alliance with the body of consciousness that we know as Sounds from Source and the associated programs we have been allowed to make specific changes as they have been advised from the body of intention we have long referred to as ‘ the source of the healing sounds’. It is why specific sounds are now available for download. Please read below the limitations of the sounds. They have not been made to be infinitely downloaded or copied. 1. You are entitled to 1 download of the sounds from this program. If you download more that 1 copy from this download site we cannot guarantee that any of the sounds you have downloaded will be intentioned fully. Please respect the limitations of the sounds in this respect they are for your use and your use alone. 2. Please note that the intention in the downloaded sounds will dissipate should they be copied more than the recommended four (4) times. 3. So you are entitled to 1 download of the sounds and can copy each download up to 4 times. This will give you 1 original sound and 4 copies – which should be plenty for your needs. The sounds will lose intention the more they are copied. A few years ago – we did not have permission to sell them in any other format other than on CD – to ensure the sounds potency was 100%. As time has progressed we were given permission to make them downloadable, and that they could be copied by the recipient up to four times without losing intention. i.e. copy onto a CD, copy one to your mp3 player, and keep one on the computer and a spare. 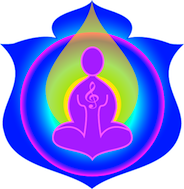 If the sounds are copied more than this – then the intention within them will lessen. The best way to envision this is to imagine a complete orchestra playing, and then imagine copying this orchestral sound only the horn section is now missing, with the next copying – the string section has gone as well and so on. Fragments of the protocols will be missing with each further copying. And while no harm will be done, certain useful frequencies within the sounds will be gone – so they will not be as effective. Be wary of this – we did not make these conditions – the body of consciousness we refer to as Sounds from Source and from which we draw this information made these conditions. If you are unsure of the efficacy of your sounds due to over copying then we suggest you delete any extra copies you have until you are back to the correct amount ie. 1 original and 4 copies – this will automatically bring the intention of the sounds back into balance. Otherwise you will have to purchase another original download for your needs as we do not reintention sounds.